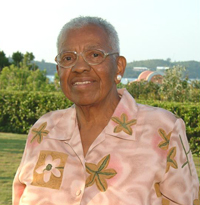 A service celebrating the life of June Ismay Mallory, mother of Connie Mallory; daughter of the late Rosie Mallory and sister of Mark Robinson (Barbara); of Apt. West #42 Tee Street, Devonshire DV 04, in her 92nd year, will be held 3:00 p.m. today, Friday, October 12th at Christ Anglican Church, Middle Road, Devonshire. Interment will follow at Christ Church cemetery. Visitation: Relatives and friends may pay their respects today at the church hall from 2:00 – 2:50. June is also survived by her nieces, nephews, other relatives and friends. In lieu of flowers, donations may be made to Lorraine’s Rest Home, c/o Warwick Parish Council, P.O. Box WK 204, Warwick WK BX.